Austrian painter, member of a family of painters of Flemish origin (spelled also Mijtens; Mytens). He began his artistic studies with his father, the painter Martin van Meytens the Elder, who had moved from The Hague to Sweden. He went rather early on a study trip. He visited London, Paris and Vienna, then he lived and worked for a long time in Italy (Rome, Turin). 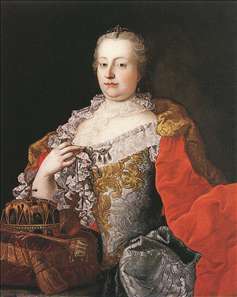 At the beginning he painted little enamel miniature portraits, and he changed to oil painting only around 1730, having settled in Vienna. 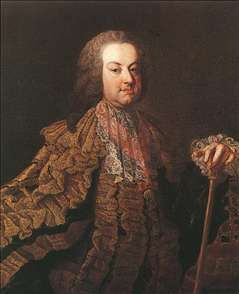 Here he became very popular as a portrait painter in the circles of the court and the aristocracy. 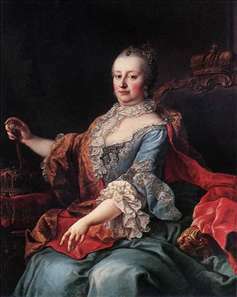 In 1732 be became a court painter, and in 1759 the director of the Viennese Academy of Fine Arts. 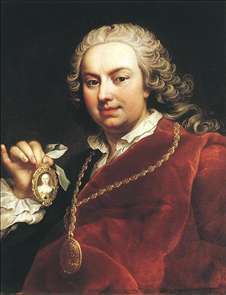 Meytens was one of the most significant Austrian painters of representative Baroque courtly portrait, and through his pupils and followers his influence remained alive and widespread for a long time throughout the whole Empire. His personal virtues, varied interests, erudition and pleasant manners were highly appreciated by his contemporaries. 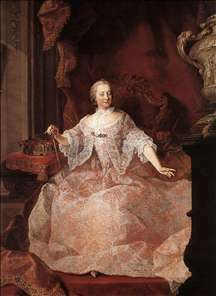 See more details about "Queen Maria Theresia"
See more details about "Empress Maria Theresa"
See more details about "Emperor Francis I"
See more details about "Portrait of Dénes Bánffy"